I found this using StumbleUpon and thought it was great. I will be using this in my WEB 2.0 for Students class when we cover ‘self publishing’. 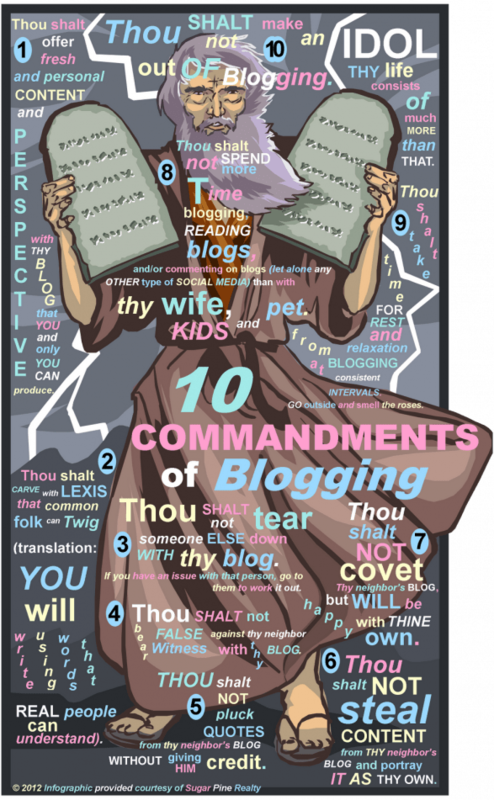 For fun, I was envisioning a Mel Brooks skit in which he originally was holding four (4) tablets and two of them dropped and he went from 20 commandments to 10 comandments. What are some of those lost 10 Commandments? This entry was posted on Wednesday, February 1st, 2012 at 7:40 am	and tagged with Facebook, Google, Mel Brooks, postaday, self publishing, sharing, Social media, StumbleUpon, Ten Commandments, Twitter, WEB 2.0, web content, World Wide Web and posted in Self Publishing. You can follow any responses to this entry through the RSS 2.0 feed.